A pair of brave Brighton men who helped the town’s RNLI lifeboat crew save a swimmer in distress have been presented with awards from the Royal Humane Society, after being nominated by the charity that saves lives at sea. 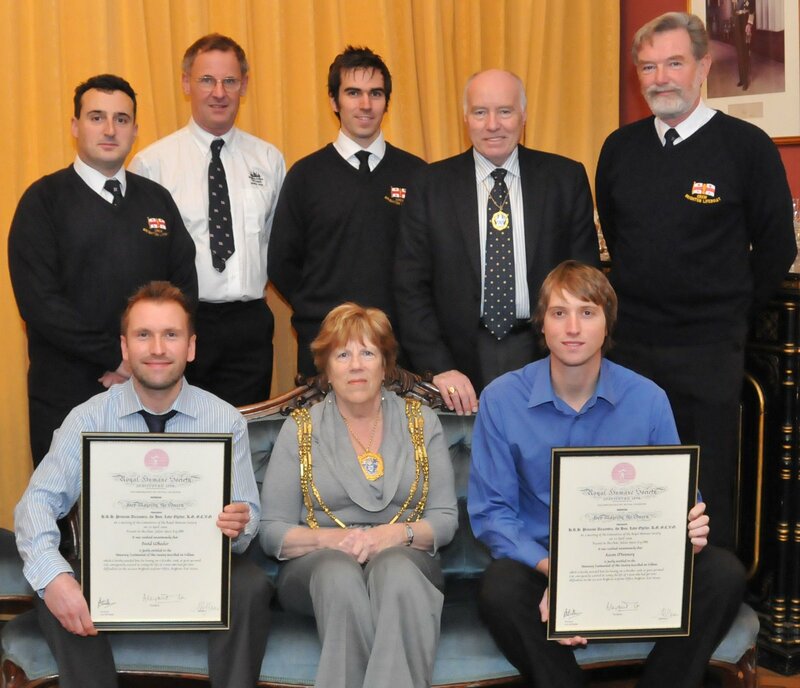 This week, together with a trio of volunteer lifeboat crew members from Brighton RNLI, they attended a special ceremony in the Mayor’s parlour in Brighton, where the Mayor, Councillor Ann Norman, presented Aaron and David with their awards. Aaron Munnery and David Wheeler, both beach office staff employed by Brighton and Hove Council, were nominated by the RNLI after a rescue which took place in October 2008. The pair, along with colleague and RNLI volunteer Richard Pearce, worked with a trio of volunteer lifeboat crew members from Brighton RNLI to rescue a man who had gotten into difficulty in treacherous seas. On the day in question, Aaron, 26, of Mill Lane, Portslade, and David, 31, of Sackfield Road, Hove, entered the sea to assist a swimmer who was in trouble off the seafront – it was raining, visibility was poor, there was a heavy swell and winds were force five to six. Brighton’s RNLI inshore lifeboat, Thelma Glossop, was launched, and the crew recovered both the swimmer and the two beach staff, no doubt saving the swimmer’s life.